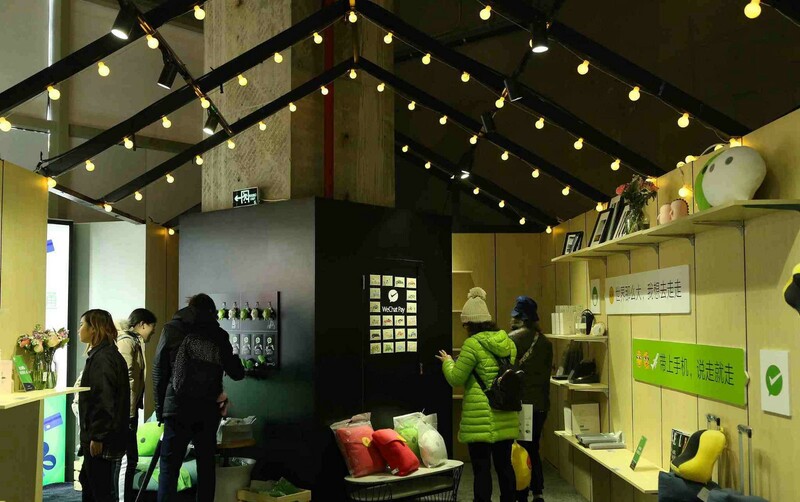 China’s largest social media platform WeChat has opened its first unmanned store in Shanghai, ifnews.com reported. The unmanned store was jointly opened Saturday by WeChat, unmanned convenience store, EasyGo and other partners. Snacks, beverages, coffee, clothing, household items, flowers and even a bike are available at the store. WeChat payment industry operations director Bai Zhenjie said it takes less than 0.1 seconds for a customer to pay a bill. He added that facial and image recognition technology may be adopted in the store in the future. Many Chinese internet and e-commerce companies have ventured into unmanned convenience stores. Chinese e-commerce giant Alibaba opened its first autonomous store, Tao Cafe, in Hangzhou, where the company is headquartered, in July last year. In September, Chinese e-commerce company JD.com also started testing two unmanned convenience store models in Beijing.